A Basset Hound’s ears are some his most distinguishing features. They are flappy, soft, and often bigger that their faces. Basset Hounds make the best puppy dog expression with their flappy ears and pleading eyes. You can hardly say no to these cuties. While their flappy ears make them unique, the ears are also some of the hardest things to clean. This is especially true with Basset Hound puppies who are so tiny, their ears tend to reach the floor when they walk. This in turn tracks dirt into their ears which can cause bacteria and other disgusting things on the ground get transferred to your dog’s ears. This could become causes for infection, wounds on your dog’s ears and so many more. This is why it is important to clean your dog’s ears as much as possible. 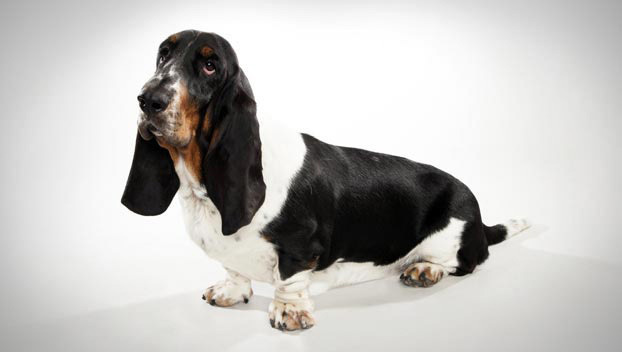 Ask your vet for a demo – your veterinarian is the best person to teach you how to properly clean your Basset Hound’s ears. Go and visit him the first time you get your dog and ask him to teach you how to clean his ears. Seeing the cleaning process first hand will help you understand what you need to do and how you’re going to do it. Buy the right tools – a dog’s ear is different from human ears. You should get products that are suitable for cleaning dog ears. A ready-made ear cleaner is available at most pet stores. If you are unable to find one at your local pet store, ask your vet if he has ear cleaners for sale in his clinic. Ear cleaners are also available online. Buy them from legitimate sellers only. Cotton wool pads are your best bets for cleaning Basset Hound ears. Wash your hands and make sure to clean your dog’s ears in a clean environment – your hands can have germs that could get into your dog’s ears while you are cleaning them. Make sure to clean your hands prior to cleaning your dog’s ears. The space where you clean your dog’s ears should also be clean. If you clean it in a place where his flappy ears are likely to fall into dirt again, you’ll end up in an infinite loop of endless cleaning. Make sure that the area is also well lit. Start with the cleansing pad – soak the pad with ear cleaner. Squeeze out the excess liquid so it won’t get inside your Basset Hound’s ears. Make sure that the pad is not dripping in ear cleaner before you use it on your dog’s ears. Wipe the flappy part of the ear – flip your dog’s ears over his head to keep them stable. Some people prefer to hold the ears in midair. Others like to make their dog lie down and spread their ears on the table. Any of these methods are fine so long as you are able to clean his ears thoroughly. Gently wipe the inside of the flappy part with the ear cleaner solution. Soothing words from you may also help your dog relax. Once the pads become dirty, discard them and don’t use them again. Do the same for the other ear until both ears are clean. After wiping the ears with the solution, let them sit for a few minutes. Wipe the ear canal of your dog’s ears using a new cleanser soaked pad. Clean only the parts that you can reach. Do not attempt to go deeper to ensure that you don’t push in bacteria and dirt into your dog’s inner ear. Check for ear problems – if you notice that your dog’s ears have nicks, cuts and scrapes, have him looked at by a vet. These may become infected if they are exposed o more dirt and bacteria. If you see a yellowish discharge from your dog’s ear accompanied by a not so pleasant odor, have your vet check your dog for ear infections. A healthy dog ear should be pinkish in color. If you find your dog’s ear in a different color, it may be a sign of infection. Praise your dog for staying still – tell your dog what a good boy he is for sitting still while you clean his ears. Repeat the same process on the other ear. 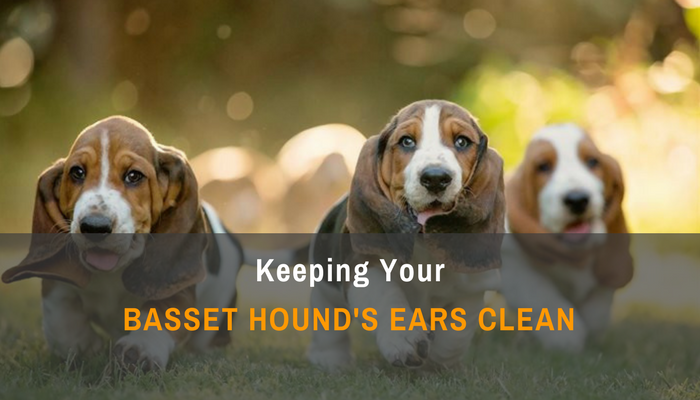 The health of your Basset Hound’s ears will depend on your patience and ability. Keep practicing on how to clean your dog’s ears and you’ll get the hang of it sooner or later. Ask other family members to check out how you clean your dog’s ears so that in case you are out of town, somebody can clean his ears for you.